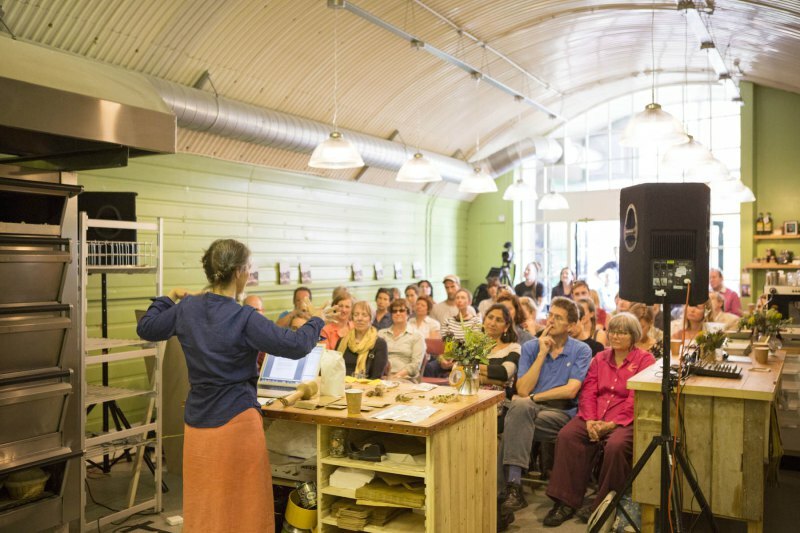 Recently, I was the recipient of a travel bursary from Situations’ Public Art Now to make an adventurous trip down to Bristol in order to attend Futurefarmer Amy Franceschini’s artist talk and witness the Boat Oven in action. All in exchange for a blog post. Part of the exciting experience about public art, site specific art, environmental art, or whichever title you decide to throw at it at this moment, is the journey. The work either appears in your own environment (super exciting, going on limited experience) or you must make a pilgrimage-esque journey to meet the work on site. It’s part of the magic, the moment – fleeting, transient, and the opportunity to become fully absorbed, fully emmersed in an artwork. It’s a pretty special thing. Bristol is a crazy place, that I felt I could have written the whole blog post on. I stayed in a wild hostel in the heart of the old city which is a warren of independent coffee shops (some trading in the Bristol Pound), community garden patches, art spaces and places for the super trendy. It was a little over whelming, both enthralling yet slightly nauseatingly self-centred but full of awareness, of possibility. I spent a while wandering the floating harbour, on the look out for a boat oven and found myself describing what I had only vaguely read about to passers-by, cafe owners, gallery attendants and artists – all for a moment caught up in the search, but none any the wiser as to my search. There is so much going on in Bristol that it seemed an event like this, the focus of my trip, could just slip under the radar. “By a small bakery, tucked under the bridge of Temple Meads train station stood a boat from which smoke drifted into the afternoon sky. Around it, a small crowd was gathering. Sometimes it is the little things that most draw our attention. In a city renowned for it’s relationship with public art, my journey to Hart’s Bakery had led me through the city centre and past various permanent works – including a giant mirror ball and the horn bridge – but I was on the search for something more subtle. The community of the event when I arrived was an informed, largely arts based and an interconnected one, most clearly shown in a brief exercise in social mapping which found me being one of the few people to not have known anyone previous to arriving. 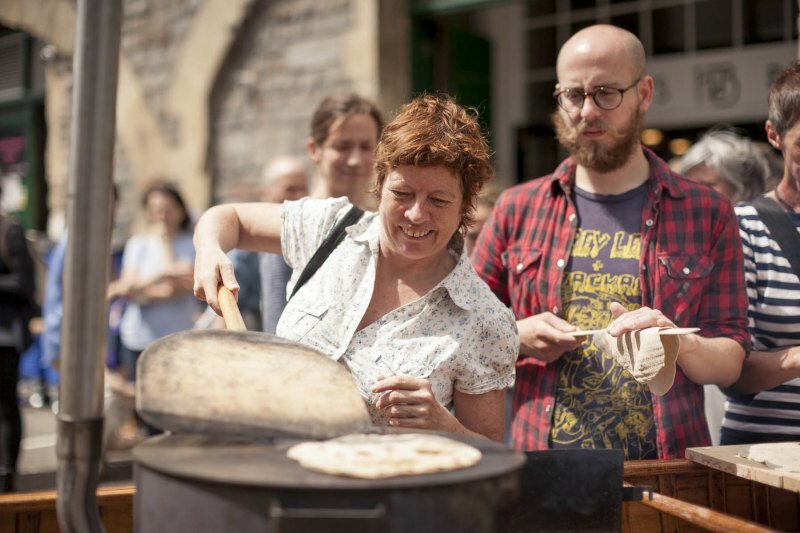 I kept imagining what it would be like to bring the Futurefarmers and their boat oven to Dumfries, or to Annan – to set up and bake with a more everyday audience. What would the old ladies of the bus stops (where were all the old people in Bristol?) on the Whitesands – the teenagers, the real Doonhamers – think of the flatbread cooked on the boat oven’s flat top? 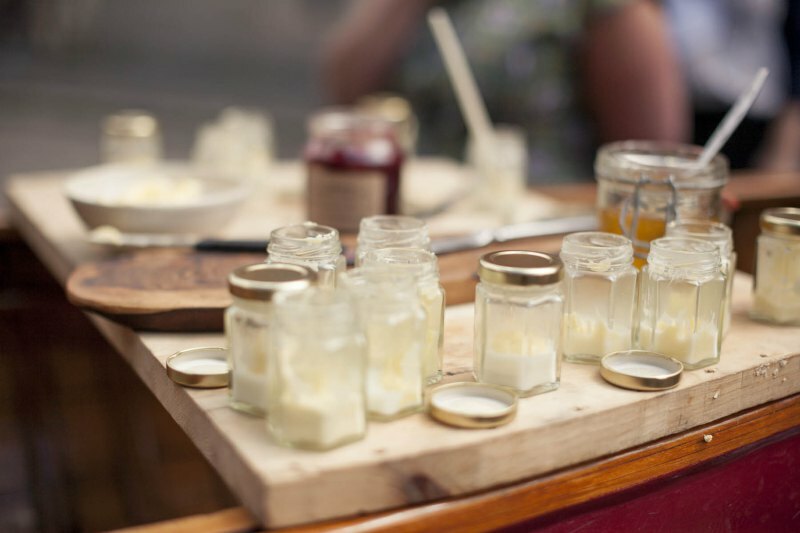 Would they participate in the making, baking and breaking of bread with the Futurefarmer artists? I suspect they would have done, but that the conversations would have differed significantly. Would they have considered it art? Unlikely. But they might just take more from such a chance meeting, seen straight off the connectedness between the bread we eat and the history thus consumed. “The event dispersed naturally, almost as seeds in the wind, and I trailed my way back – slightly sticky with honey – passing by community veg patches in the park and cafés displaying their food travel miles. 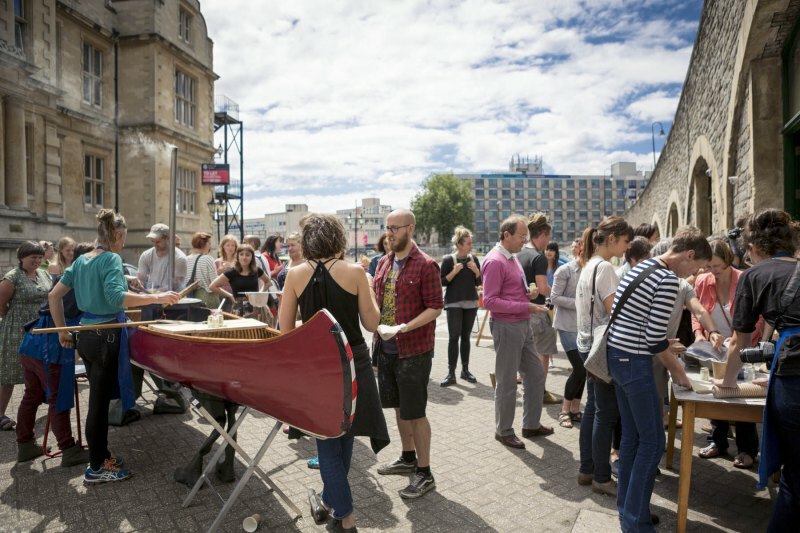 Bristol’s independent café culture is very much in-tune with increased sustainability, and a palpable connection to food production, providing something of a wider context for Futurefarmers’ Boat Oven. Photo: Max McClure. Butter churned by Stars. 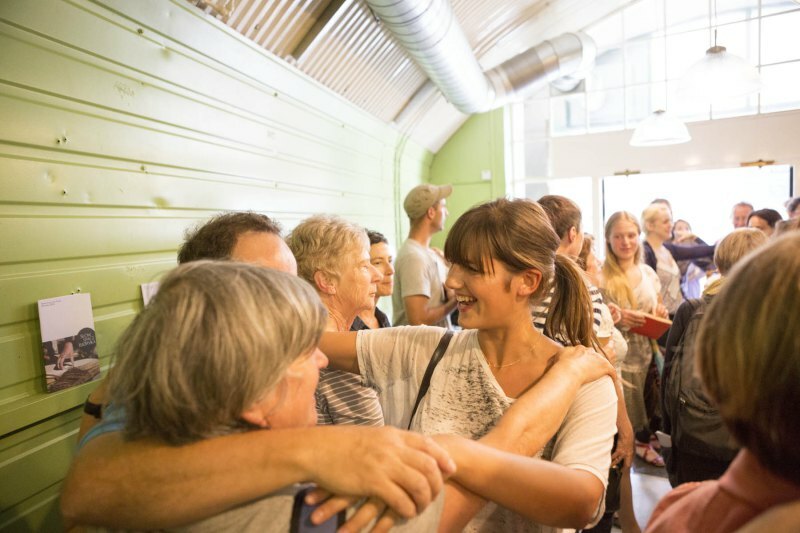 The venue in Bristol, Hart’s Bakery was just perfect for the afternoon – it just wanted to feel more connected to the community it had arrived in. (Rule no. 4 Don’t Make it for a Community, create a Community – definitely worth a discussion sometime) Art amongst artists is only a part of it, it’s when art gets amongst everyone else that it get’s truly exciting. Many thanks go to the Situations team, both for the opportunity and for welcoming me so well, hope to get back down to Bristol some time soon!